Where were YOUR cops last night? Wrigleyville, probably. 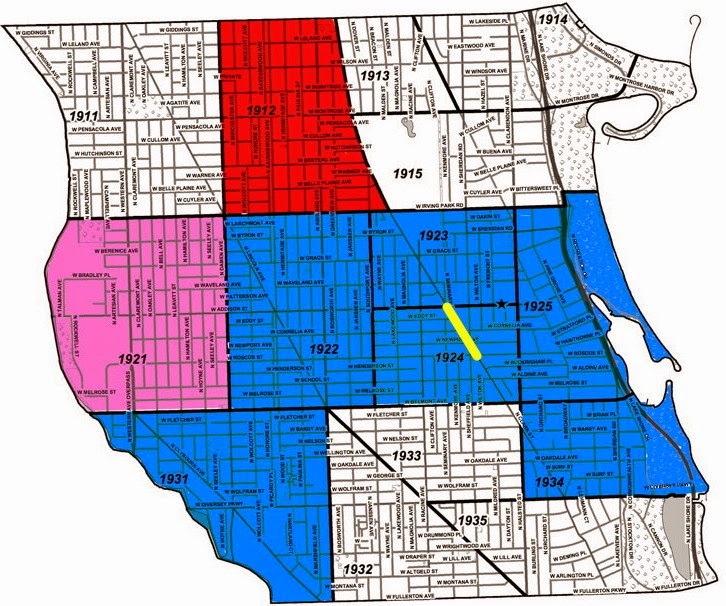 pink section was "held down" on Boystown's Halsted strip. The red section's patrol car did not operate at all. If you're the guy who hitched a ride with two women, only to wind up getting robbed and tossed out of their car, we apologize for the 12 minutes it took for the police department to find an officer to handle your call this morning. Ditto to you, Hydrate Bar. Your 911 call for assistance with a battery offender was very professional. Unfortunately, there just weren't any officers available to send your way. Well, the police were there in spirt. Oh! And if you're the guy who reported having his phone taken while a knife was held to his throat on Halsted Street around 4:55 this morning, well, sorry 'bout that. That's what happens when our district enters Radio Assignments Pending status. Calls for help stack up, just waiting for an officer to become available to handle one. This morning's RAP dragged on for 4 hours and 45 minutes. While our esteemed Alderman Tom Tunney touts the district's "Entertainment Detail" as the force that keeps Wrigleyville and Boystown under control, the truth is that the "detail" is actually about 6 police officers. Wrigleyville and Boystown is controlled by sucking in patrol cars that should be patrolling neighborhoods and handling residents' calls for help. CWB will have more on the weekend's stupidity later this evening.